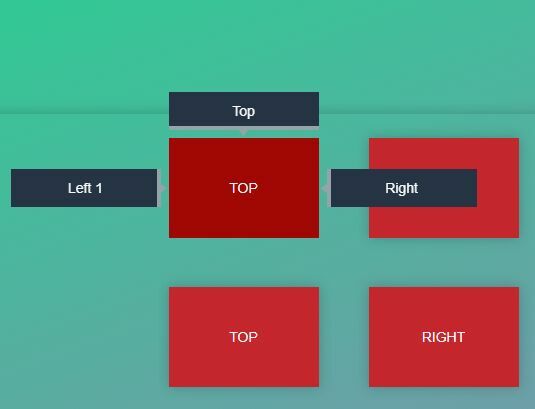 Download jQuery Simple and Stylish Tooltip Plugins at jQueryScript jQuery Tooltip section. Page 1 .
jConfirm is a simple jQuery plugin that displays a confirm dialog box in a popup tooltip interface, with callback events support. 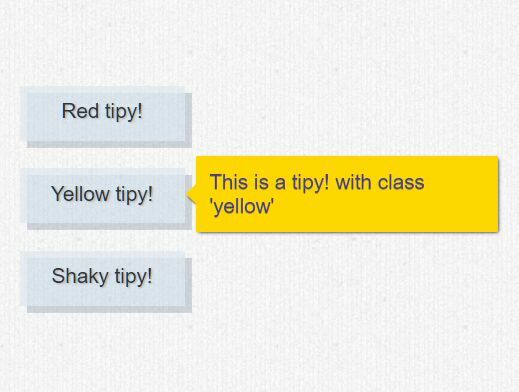 Tipy is a small, customizable jQuery tooltip plugin to display context messages in a tooltip popup which can be attached to any DOM elements. jTippy is a flexible, modern jQuery tooltip plugin for creating customizable, themeable tooltips on the web app. The tooltips are fully controllable through HTML data attributes. 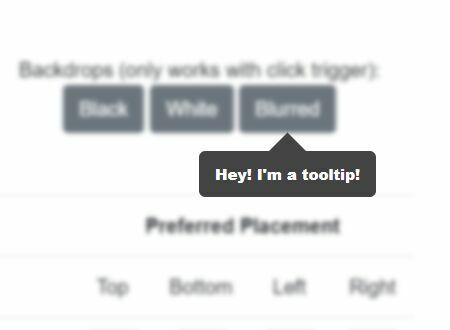 Just another jQuery/HTML5 tooltip plugin used to create custom, CSS3 animated and hover-triggered tooltips on the webpage. 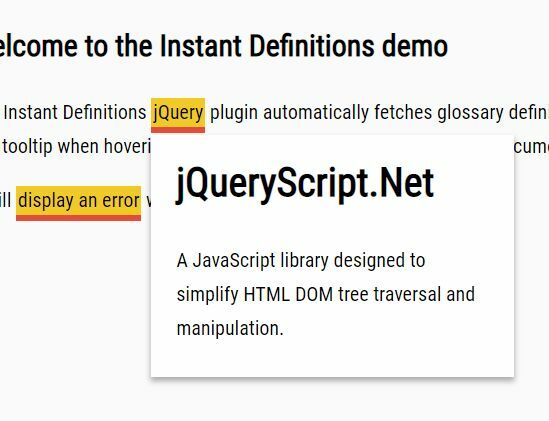 The Instant Definitions jQuery plugin automatically fetches glossary definitions from a JSON file and display them in a tooltip when hovering over the corresponding terms within the document. 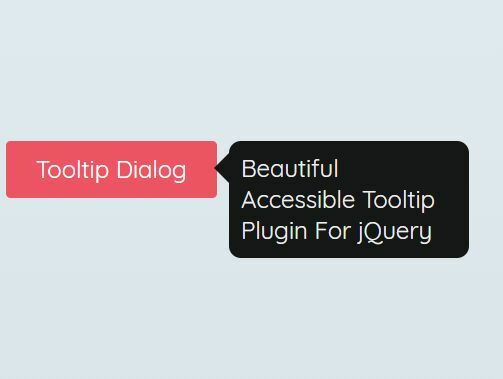 A lightweight, flexible, customizable and themeable jQuery tooltip plugin that allows displaying multiple tooltips on the same element. aria-tooltip.js is a responsive, customizable, accessible jQuery tooltip plugin which can be attached to any DOM elements, with support for ARIA roles and keyboard interactions. powertip is a jQuery based Flexible and Beautiful Tooltip Plugin which supports for complex data. This is a simple, accessible jQuery dialog window plugin for creating tooltip-like dialog windows with support for ARIA attributes and keyboard interactions. 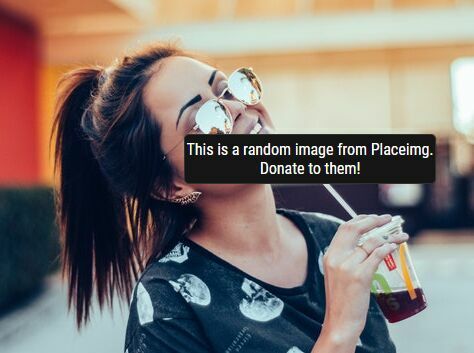 A lightweight and accessible jQuery tooltip plugin for showing beautiful, customizable, WAI-ARIA compliant tooltip popups on matched elements. 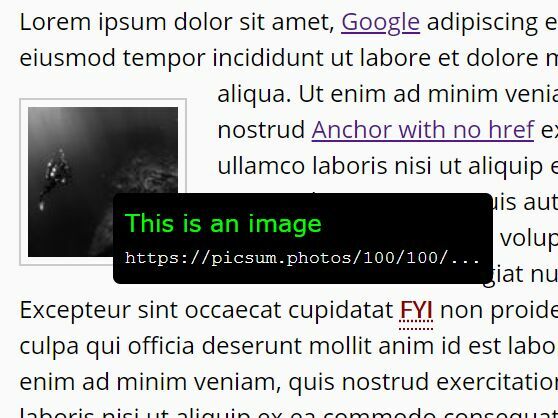 A funky, cross-browser tooltip plugin for jQuery that extracts tooltip content from title or alt attribute of matched elements on hover over. 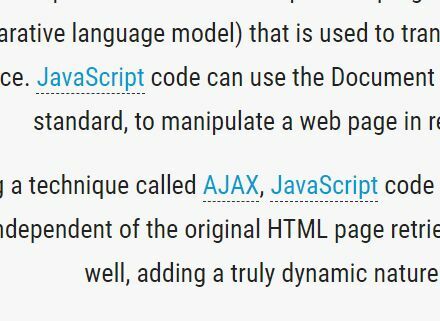 The Underlined Definitions jQuery plugin automatically adds underlines to matched words within the document and displays pre-defined definitions in a tooltip (using title attribute) when hovering on. 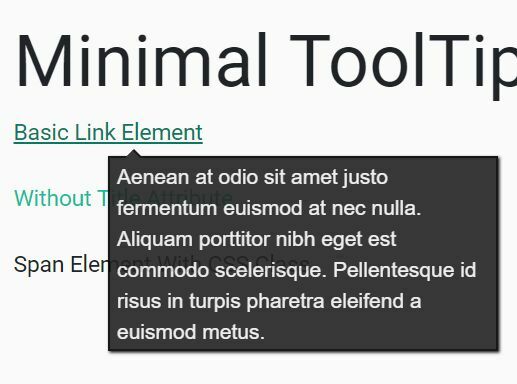 minimalTips is a minimal, clean, animated jQuery tooltip plugin that uses native title attribute and works with any HTML tags. 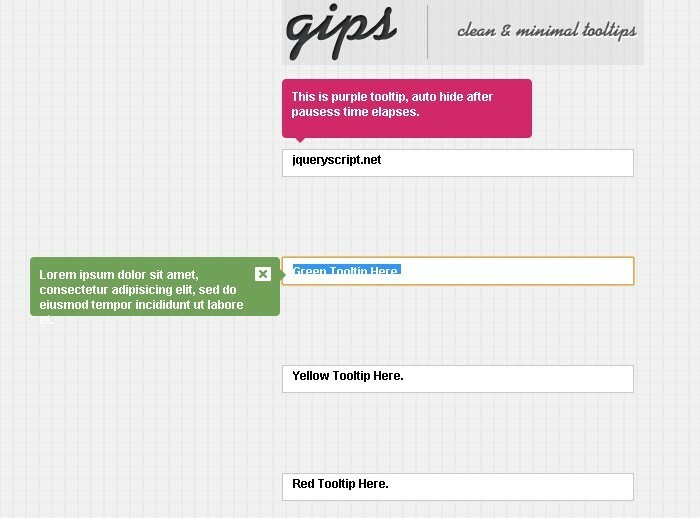 gips is a Beautiful and Clean Jquery Plugin for tooltips, which can be embedded in any web design.